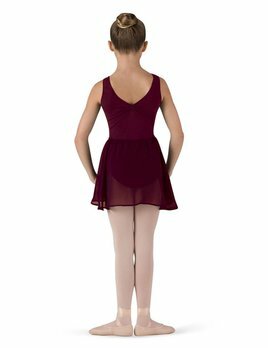 Girl's mock wrap ballet skirt. Ladies' wrap ballet skirt with double sided matching tie binding. Pull on Chiffon Skirt by Motionwear 1000.